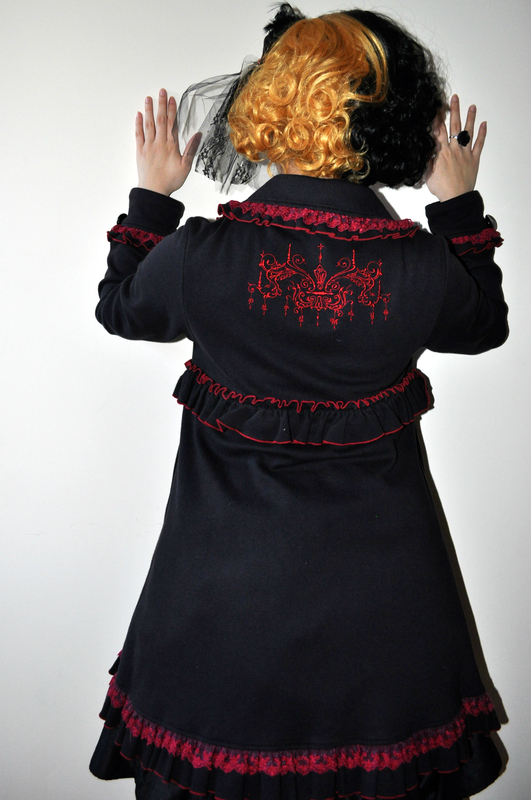 Penny Dreads, my latest wig sponsor, sent me the Miss Tea wig in Black/Gold for review! This split wig is super cute and easy to manage! In addition to full wigs, Penny Dreads sells half wigs, dreads, and hair extensions. If you’re interested in buying something from Penny Dreads, be sure to use the coupon code “XIAORAWR” for 10% off! They mailed the wig to me via USPS Priority Mail: This bubble mailer was sturdy and kept everything undamaged. Penny Dreads sent me really cute business cards along with the wig! The wig itself was perfectly packaged, inside a nice plastic bag with a Penny Dreads brand stick in the corner. The wig came with scrunched up paper inside the wig to keep the head’s shape, and a hair net around the entire wig. This way, the curls stayed perfect, with no tangles in sight. 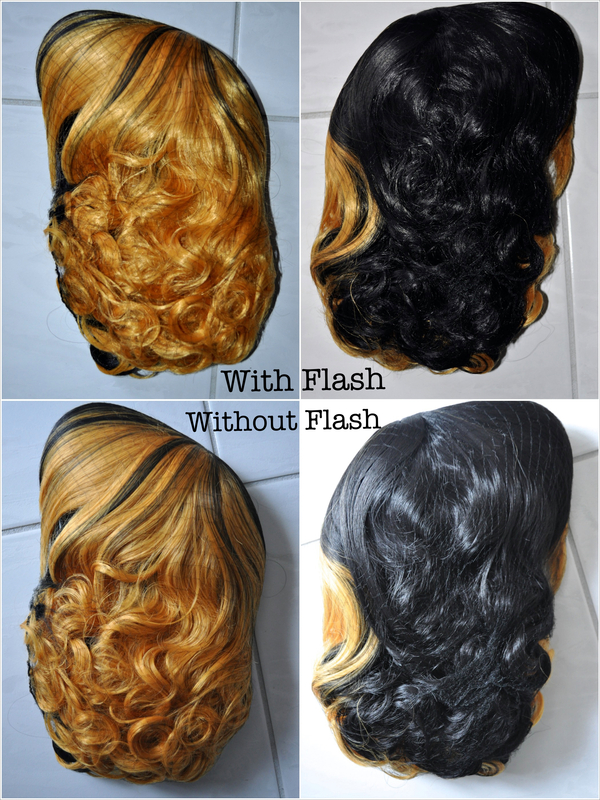 Take a look at the photo below for with flash versus without flash views of the wig. As you can see, there isn’t a big difference in color depending on flash or no flash. Either way, the wig looks great! The golden blonde color is rich and I believe it will be flattering on many skin tones. Same goes for the black color! I love the split-wig design, especially since there is some blending of the fibers in the middle so it isn’t a stark change from one color to the next. You can brush and style the bangs in different ways to get different looks, and you can also brush out the curls for a more dramatic look if you would like! The wig fibers are thick and soft, so I am sure they will take well to styling. 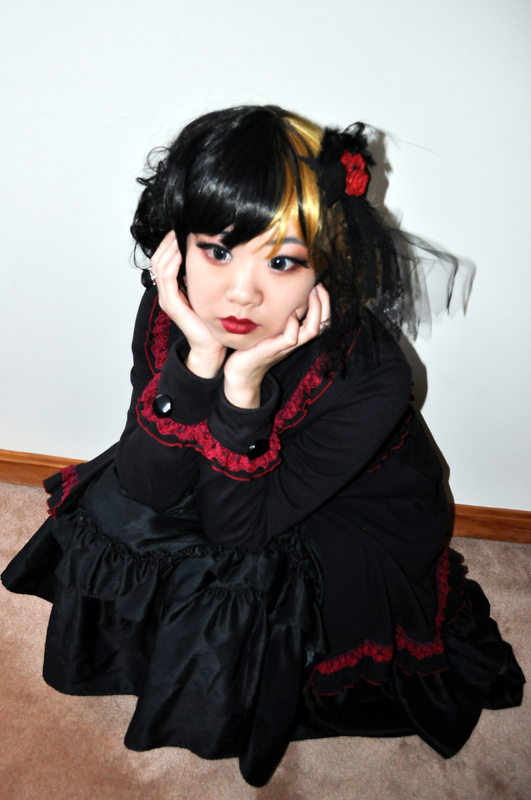 Be sure to check out my Facebook album featuring this beautiful Miss Tea wig in Black/Gold. I’ll add more photos to it over time, so like my page to see more photos! 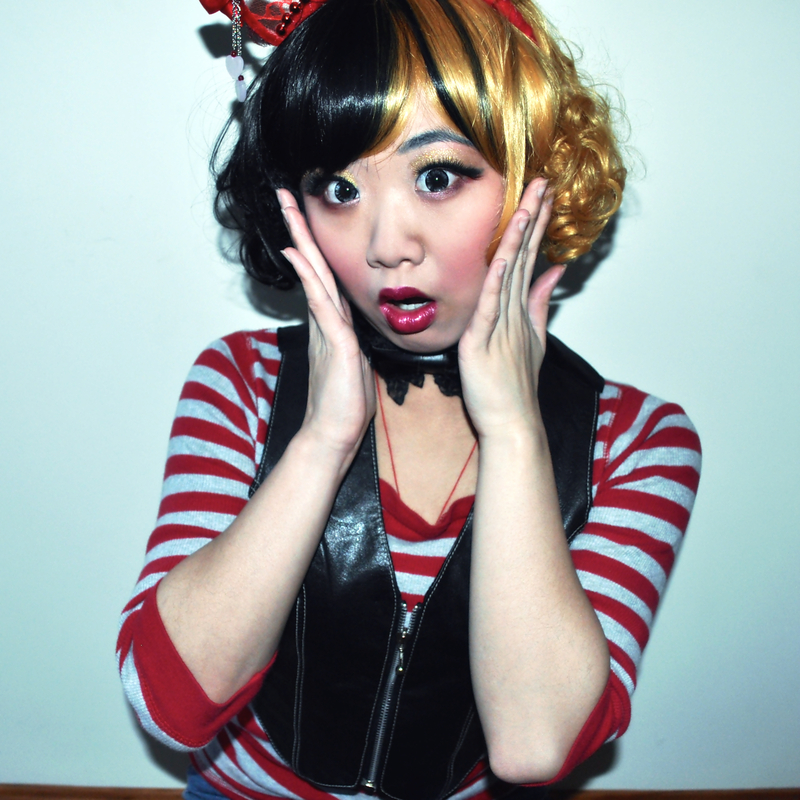 I also used this wig for other sponsored product styling, so you’ll see this wig pop up again in future reviews. I highly recommend Penny Dreads as a wig company! They have great customer service too; they respond promptly to all of my emails. Give their Facebook page a like, and check out their Instagram and Twitter. Reminder: If you buy something from Penny Dreads, use the coupon code “XIAORAWR” for 10% off! If you would like to contact me about a sponsorship, my preferred method of contact is by email. Feel free to send an email to me at missxiaorawr@gmail.com. Please keep in mind that I am studying in Europe at the moment, so if you would like to mail me something, it will be to Europe.